Starring KiKi Layne, Stephan James, Regina King, Colman Domingo, Michael Beach, Teyonah Parris, Finn Wittrock, Diego Luna, Emily Rios, and Brian Tyree Henry. 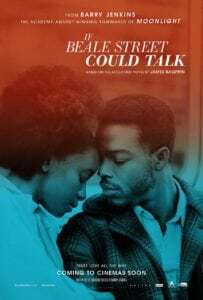 With the father (Stephan James) of her unborn child wrongly incarcerated, Trish (Kiki Layne) must find strength in the face of the adversity, the unforgiving kind thrown at a young black couple in 1970s Harlem. Barry Jenkins used love to shine light upon the marginalised in contemporary America with the unique poetry of Moonlight. 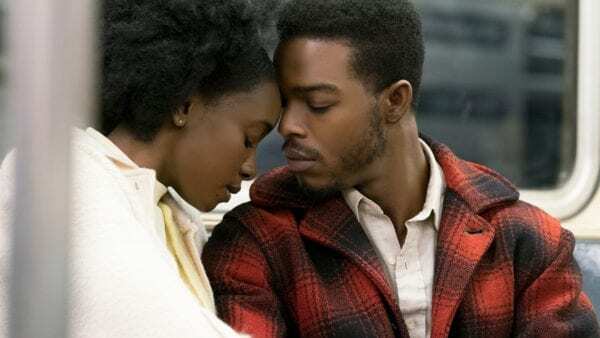 His follow-up fable, If Beale Street Could Talk, based on the novel by James Baldwin, is another lyrical masterpiece, with as many cultural triggers as his Oscar winning stunner, and an emotion at its core that makes it just about one of the most beautiful films of our time. Moonlight‘s multiple scenes of unspoken emotion proved that Jenkins is able to do as much with dialogue as he can with extended periods of silence, and it’s a technique he transposes onto Beale Street. Long, lingering looks into the camera as characters address one another, or the use of foreground focus throughout the movie, all give it a dreamlike quality, adding to the intoxicating, seductive nature of the love story. Beale Street feels less like a movie, and more an intimate look into the lives of a group of people who feel effortlessly real, so every subtle emotional beat hits you like a sledgehammer. Equally powerful are the tightly scripted sections of Jenkins’ film. Early on there’s a Saturday night gathering to make a huge announcement to a family already rife with division. It’s a masterclass in establishing character, which veers from heartbreaking to hilarious within the space of a single line of dialogue, and it cannot be stressed enough how natural it all feels. Within minutes you’re invested in the fate of these souls. 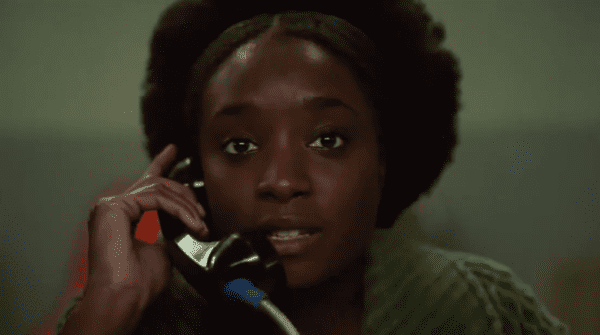 Beale Street’s tapestry is made up of flashbacks and multiple threads, but the heart from which the fracture lines emanate can be found in the performances of Kiki Layne and Stephan James. As the young couple nurturing the embers of their tender relationship, they’re two completely human turns, upon which issues of race, discrimination, sexual politics, and the injustice of the American legal system for the African American male, play out in a maelstrom around them. It stirs up just about every emotion imaginable, yet never forgets that its story’s essence are these two young lovers, trying to find their places in a world that constantly places obstacles in their way, based solely on the colour of their skin. Awards should run the length and breadth of Beale Street, and in Regina King, following up her exceptional work in HBO’s The Leftovers, the film has the closest thing to a Best Supporting Actress shoe-in. She imposes herself on every scene, with a poise and power that avoids any histrionics or grandstanding, that’ll have you clenching your fist and dabbing at the corner of your eye in equal measure. Jenkins is generous with his actors, even affording single scene performers such as Dave Franco and Atlanta‘s Brian Tyree Henry some emotional heavy lifting with their dialogue. There’s not an ounce of fat during its entire two hours. Unimaginable to think that Jenkins would be able to match the feat of Moonlight, but If Beale Street Could Talk is at least its equal. 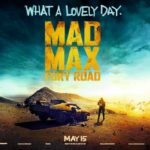 As Stephan James’s Fonny says, “I’m a cat who works from his gut”, and that’s exactly where the writer director appears to summon his unique brand of filmmaking. You’d have to have a heart of stone not to fall in love with this.